Varieties Favourite: N39 – awesome colour, ripens nicely, canopies well, broad leaf. Top farm has a lot of N12 – works well too. Craig is always eager to trial new varieties. Craig has an absolutely amazing story. Although he is young (by my standards), his life-tapestry has already been coloured by devastating heartbreak, failure and tragedy. Superseding all this is a vibrancy of determination, laughter, hope and passion. Throughout, there’s clarity and strength which makes me realise that, no matter how rough the seas get, Craig will find his bravery and soldier on, with a chuckle and a shrug of the shoulders. His success proves that we CAN overcome and prosper, with the right attitude. Initially, Craig’s Dad, Chris worked for CG Smith Sugar, on the agric side, running the Inkanyezi project but, in 1982 he bought his own farm in Hibberdene. Craig matriculated in 1990 from ‘Maritzburg College and spent 1991 completing his National Service. In 1992, he ventured off to Cedara but after 6 months was politely asked to leave due to his extra murals in PMB after hours!! A less-than-impressed Dad put him to work on the farm mid-1992. It was a tough time as the farm was struggling after the devastating drought in those years. A rescue partnership was forged between Revell Saint and Chris Rhodes and Craig continued his practical learning under Revell’s guidance. Revell became Craig’s mentor and the experience was piled on – through incredibly hard work, they took the farm he was managing from 3 000 tonnes to 20 000 tonnes within 3 years. This partnership prospered for 10 years (with production growing to 45 000 tonnes) and then Revell offered to buy the Rhodes’ out. Unexpectedly, Craig proposed a counter offer wherein they would buy Revell out. No one really expected the “lightie” to be able to come up with the money but Craig showed the resourcefulness that would support his whole career and did just that. He secured a BOE loan for the purchase. And, he’s never looked back. The partnership was amicably dissolved and Craig, together with Chris, started farming their own land again. Since then, further opportunities to expand have been capitalised on and the farming enterprise has grown. It has also had its challenges and fallen victim to land claims. Thankfully, these were finalised with long-term lease back options. The Madlala community now owns the farm Craig lives on. Thankfully, they have a really good relationship and the Inkosi fully supports Craig’s management of the property. In fact, Craig even runs a mentorship programme with the community. Three youngsters have just finished a six-month stint on the farm. Craig reports back on their progress and pays them a wage. Through his feedback, the community has insight into who shows promise and who should consider a different career. In the opening lines, I referred to the tragedy that twisted Craig’s life. The reason he avoided my initial emails congratulating him on being announced as a Top Farmer but also the reason why he eventually told me to come and get the interview done, in the hope that it would restore an element of normalcy and celebration to his life. Just one year before I sat in Craig’s lounge, his wife had just been diagnosed with cancer. The day I spent with him marked 6 months since she’d succumbed to the disease. Yes – it happened too quickly, and yes – two young children have been left in Craig’s solitary care. My heart writhes at the dread of such pain – a pain that Craig lives with every day. When you find yourself in this situation, there really aren’t a whole lot of options. You can dissolve into a puddle, taking your business, employees and children down with you or you can do what Craig has done and slowly put one terrified foot in front of the other, taking each minute of each day as it comes, fighting to keep that determination steady so that those who rely on your health and sanity can bravely follow your lead. Theirs was a “dream” marriage, they worked together and played together, forming a strong partnership wherein neither would easily survive such a tragedy but she devoted her final months to preparing Craig and the business. Refusing his pleas to travel and live her final days savouring the very best of life, she chose instead to complete a full and comprehensive hand over of everything she handled in the business and their life, ensuring his success thereafter. THAT’s love folks! Although sugar cane remains the bread and butter of Fairvale Farms, and Craig says the land under cane won’t be reduced, there are peripheral crops and divisions. Craig grimaces when talking about the 50 hectares of bananas – apparently, they’re hard work. Wind blows them over, they’re highly prone to disease, thirsty as hell and at least 6% of the crop is stolen every month. Makes me wonder whether it’s worth the hassle, but we’ll leave that question for the days we start publishing BananaBytes. With a much broader smile, he tells me about the macadamias. By the end of 2018 he’ll have 100 hectares. Last season he harvested 50T off the established macadamia trees. 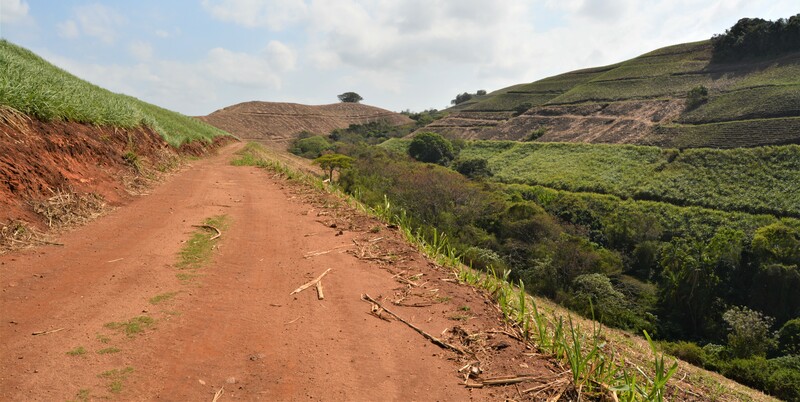 The 240 hectare Pongola farm, on the Swazi border, was purchased about 4 years ago. Chris’s intrigue with irrigation prompted this purchase and, together with a resident manager, Lindsay, and mechanic, Andries, they are making huge steps in turning the farm around from the drought it has recently endured. Many of the fields required replanting and now only 5.6 Ha is left at 6th ratoon. They have installed three large centre pivots and hectares of surface drip irrigation. All this investment is slowly changing the face of the farm and they anticipate to average out just over 100 tons/ha over the next two seasons. All very exciting for a coastal KZN farmer. Handling such diverse and geographically dispersed operations is a challenge that he wouldn’t enjoy without his Dad’s supportive partnership. Craig is grateful that Chris is still so strong and healthy. Chris heads up the macs and all technical irrigation and Craig is kept well informed and joint decisions are made. The newly constructed dam on the farm now gravity feeds 30 hectares of the macadamia orchards. The transport operation is interesting: the businessman in Craig has taken advantage of the excellent incentives offered by Huletts and the Maidstone mill. He has 3 trucks that run about 45 000 tonnes of cane from his and his neighbours farms in Umzumbe, 24 hours a day, 7 days a week, through to Maidstone. Craig loves this demanding side of the business and takes great pride in the Mercedes trucks that are meticulously kept for four years before they are replaced. NMI River Horse provides fantastic support as well as driver training. So, when he visits the Pongola farm, he sometimes wonders why on earth he struggles through those challenges on the KZN farms … but, getting the Pongola electricity and water bills reminds him that KZN is wonderful (cheap) in many regards. The change of scenery is great and he cannot choose a favourite, which makes having both such a rich blessing. KZN farms: Because of the steepness on these farms, all applications are by hand (very often at a snail’s pace), using Mayfield applicators. Therefore, Craig avoids split applications. Accuracy is not compromised though and soil sampling and record keeping is done avidly. Craig takes the lab recommendation, previous year’s applications and harvest figures together with a good dose of intuition to arrive at an application rate. He shares all his reasoning and plans with his fertiliser Induna who then carefully monitors application. 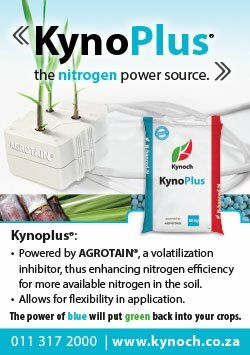 If it is early in the season (winter), Craig prefers to use LAN-based products, or Kynoch’s KynoPlus (a coated fertiliser) so that the nitrogen volatilisation is minimised while he waits for rain, switching to Urea-based fertilsers in the rainy season. Craig says that only 10mm of rain is needed to get the nitrogen into the soil. Split applications are preferred in Pongola, where operations are mechanised and field access is a synch. 5th to 8th ratoon fields enjoy a second grade option of the 101 (48). 9th ratoon fields (which will probably be ploughed out in the next year or two) get the bare minimum of straight Urea at 300kg/ha thereby minimising investment in low potential plants. Craig bases his plough-out decisions on yield although he generally aims to replant about 12% of his KZN farms every year. In Pongola, this figure is closer to 20% (because he is actively getting rid of old ratoons and correcting the soils at the same time). This seemingly high rate of replanting is based on Craig’s belief that younger cane withstands weather fluctuations better than old cane and, by keeping his stock young, he feels he minimises exposure to every farmer’s greatest risk – extreme weather. In Pongola, Craig follows a light programme of green manuring, whereby he ploughs in a field after 3 months under an alternate crop. Ratoon fields are ripped every year to counter compaction caused by the mechanised fertiliser applications and in-field loading. The minimal mechanisation on the KZN farms mean that they do not suffer from compaction. The difficulty in getting tractors around them also mean that no alternate crops are planted. This minimum tillage programme is simple: after a field is harvested, Craig takes soil samples, then waits for the cane to get to knee height and sprays with Round Up Turbo. He then applies lime, ridges it in with a Nardi plough (300-400mm deep) and plants straight into the ridges. If he wasn’t operating such steep slopes, he may well be farming slightly differently so this reinforces the message that each farm is unique and requires a unique plan that is best for it. A case in point is the Nardi plough, which might not be suitable for all applications but, in Craig’s vertical world, it digs in and holds on tight. To give me perspective about these slopes, Craig explains that, in some areas, he has to hand dig one big ridge that the tractor tyres can use as support in its first line, to prevent rolling over, and then ridge from there. Another necessity of the steep slopes is the harvesting method which is cut and stack. Tractors and trailers haul to a loading zone where cane is weighed and loaded. In Pongola, mechanised options are the order of the day with in-field loading being the preferred method. Bell machines are favoured and lovingly tended by a pedantic and protective workshop manager. Craig burns most of the cane using a cool fire, limiting any green cane harvesting to the absolute minimum – his cutters don’t like harvesting green cane as they battle with productivity. Illustrating my worst fears about cane fires, he told me about the tragic loss of a cane cutter who was playfully chasing cane rats with two friends when the back burn and lodged cane conspired to trap him – the young man was fatally burnt and passed away later that day. Again, I am struck by the calamities this amazing farmer has had to endure. Craig doesn’t employ a blanket approach to ripening. His assessment is based on many factors but one I found interesting is evaluating the growing potential left in the plant. If Craig sees that the cane scheduled to be harvested in 2 to 3 months still has a foot of growing potential (and the weather will be good), he won’t ripen, relying instead on the additional growth (weight) gained by not applying the herbicide to compensate for the additional sucrose conversion that would have been gained in stopping the plant’s growth. If, however, the plant has reached a max in terms of growth (or the weather is not going to support additional growth), he opts to maximise the sucrose levels by applying ripeners. Historically, Craig has used Fusilade. He recently had his first harvest from Moddus ripening and was very happy with the results. Again, he says that each chemical has its place: Fusilade is cheaper and suitable when you are confident there won’t be a risk of missing the mill closure. Moddus, although more expensive, is best if you are running close to the deadline and may need to carry over. It’s also useful because the weather and its strong winds play havoc with the helicopters and schedules on the Coast. If he uses Moddus, he can get more fields sprayed and take slightly longer to harvest it all. He has employed a similar strategy with Fusilade as well though, with great success. In his experience, harvesting up to 12 weeks after an application of Fusilade is fine, giving him a comfortable 4-week window to harvest a substantial area. In this first trial of Moddus, Craig chose mainly hot, North-facing slopes. He started harvesting at 8 weeks after spraying and completed it all within 6 weeks, achieving brilliant results. Eldana: Craig reports minimal pressure from this beast on the coast. The high rainfall (which seems to have been limited to 10kms from the beach) has helped – as we know, healthy cane is less susceptible. The farms further inland than this 10km band have not been as lucky. Until now, Craig has not sprayed for Eldana but, to support the longer growing cycles he will be starting to spray Coragen within the next month. He acknowledges that healthy soils go a long way in discouraging Eldana. Craig reports that Thrips is a problem on plant cane from Oct to Feb and he sprays specific fields accordingly. He also uses Bandit in the furrow when planting. Control the seed rather than the weed. Spray pre-emergents so that labour costs are minimised. Spray a soft chemical later in the season. (Valpar, Galago and Rescue) The damage that hard chemicals inflict on the cane is not worth it. Spot spray grasses after canopy. Weather coordination is vital. Watch the weather closely and schedule your applications accordingly. This applies to fertilisers as well as herbicides. Craig avoids new products until they have been proven, preferring instead to stick to what he knows works. It was clear from the outset that Craig is a people’s person. Much of his success was always going to be attributable to his highly social and likeable nature. This characteristic is a huge factor in his being able to effectively manage a small army of employees. Craig believes in ongoing training. With every instruction given, he makes sure that the reasoning and motivation behind it is clear. As a result of this strategy his herbicide Induna (for example) can now pre-empt Craig’s instructions and knows what should be used where, when, how and why. The value in this is immeasurable. To make this policy workable on your farm, consider providing your key staff members with a notebook wherein they record key points (the reasons and motivations behind your decisions). Craig has found this incredibly helpful in reinforcing principles. Makes me think about that old Chinese proverb: Give a man a fish and you feed him for a day. Teach him how to fish and you feed him for a lifetime. An extension of this “empowerment approach” is Craig’s acknowledgment that he cannot do this alone. He constantly reminds the staff that “isandla ziya gezana” (one hand washes the other). Our people are wonderful in that they love to play as much as they love discipline. The balance is vital. Craig keeps the play to casual encounters on the farm and all the serious stuff is confined to the structures in place. This way, Craig deals only with the Indunas and any contentious issues they chose to refer to him. Communication is key and, although the channels are structured, the flow is free. Craig has also found that consistency is essential. It works hand-in-hand with discipline and maintaining it results in a happy, settled work-force. Everyone rises at the same time every day, meals are served on time, knock off is kept consistent etc. Fairvale has chosen to feed its staff, providing 5 litres of Amahewu to each cane cutter every morning and a basic dinner every night. For this, they pay about R4 a day which is less than what it costs but the benefits of keeping the staff together, well-nourished and free of the burden of meal preparation outweigh the shortfall. Craig admits to frequenting the dining hall periodically which goes a long way to building morale and camaraderie. The bonus is that he gets out of cooking on those occasions! A tuck shop, stocking the staples, is also available on the farm. Again, this keeps everyone close, interacting and well-provided for. Craig spends about 4 hours a day in the office. Naively, I say “oh, so about half your day?” … Craig laughs, “If I worked 8 hour days, that would be right but I generally get 12 hours of work into the average day.” Farmers work so much harder than we appreciate. Two dedicated office staff, Jack on the bananas/sugar and overseeing the workshop, Frank on the Ifafa farm plus about 300 others support Craig and Chris in making Fairvale a success. 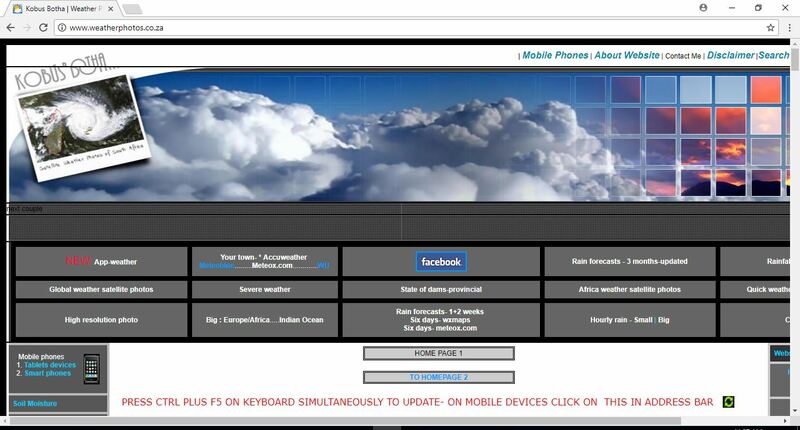 CanePro is an indispensable tool in the administration of this operation. 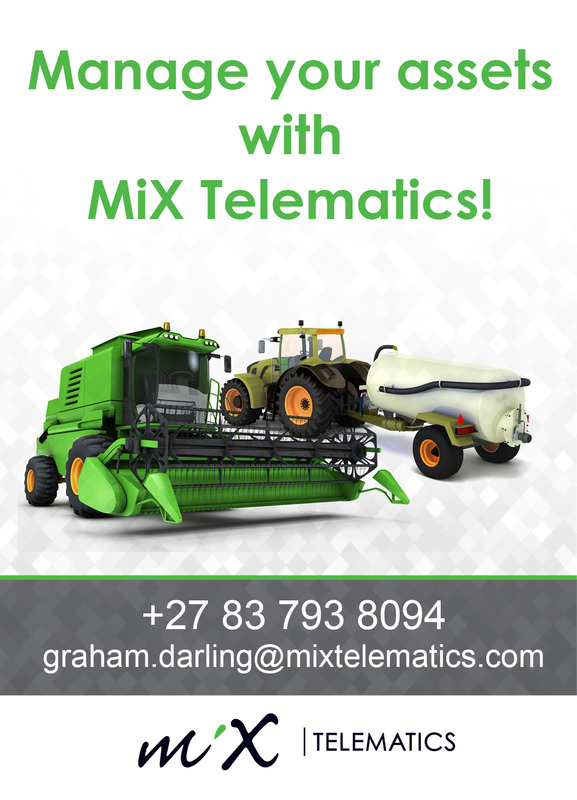 A crucial tool in running the intensive transport division is an app called MixTelematics. It monitors all the vehicles, giving live locations and summary reports daily and at the end of each week. Craig uses this information to make sure that everything is timed to perfection as well as incentivising the truck drivers. If they score 97% and above (braking, speed, revs etc), they earn a bonus. Diesel consumption of below 50l / 100kms (across the whole month) gets another bonus. This has helped productivity and preservation of the equipment. Being a “dirty drop-out” Craig can give us valuable insight into his view on formal education. Confidently assuming he’d say that he’s managed just fine without it, I was a little surprised when he said he’d still choose to send his son off to complete a tertiary qualification. Again, it comes down to “different strokes for different folks” and he firmly believes that he might have missed some key opportunities had he still been at Cedara instead of on the farm. BUT, a great agric degree is also valuable so, if you have what it takes, do it! Either way, NOTHING replaces humble hard work and the experience that brings. Keep your eye on the ball. Establish goals and maintain focus on achieving them. Look for opportunities. Don’t be so focused on the goals that you miss the random opportunities – be flexible and spontaneous when necessary. Master what you have before moving on. Beware of “bright, shiny objects” and try to conclude or master ventures already on your plate before skipping on to the next “big thing”. Constant tweaking to improve. This relates strongly to the point above. 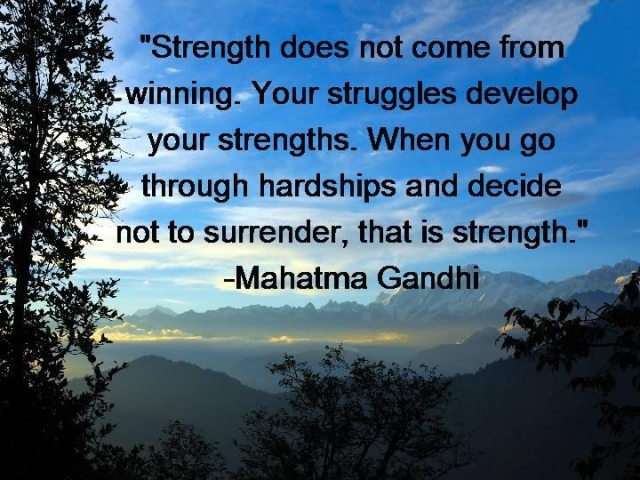 Nothing worthwhile comes easily and we have to work hard at achieving success. Don’t give up prematurely, tweak it until it works or proves itself terminal. Do not put off until tomorrow what has to be done today. This applies particularly to office work which has the tendency to pile up the instant we turn our backs. This has been a wonderfully exhausting interview. I laughed and cried, oohed and aahed, celebrated and commiserated. Craig’s success is in his spirit – he’s destined to it. Thank you again for allowing us the opportunity to learn from it. We wish you only smooth seas from here on forward.